What is Sista Strut? V101.7 and 97.9 WIBB are proud to be sponsors of this great event to help raise awareness of breast cancer and to celebrate the women who have battled it. Sista Strut is a 3k Walk to raise money and awareness for Breast Cancer and specifically how it affects the African American community. This is the inaugural year for the walk in Macon, GA but the event has been held in other iHeartMedia markets such as Memphis, Nashville and St. Louis. 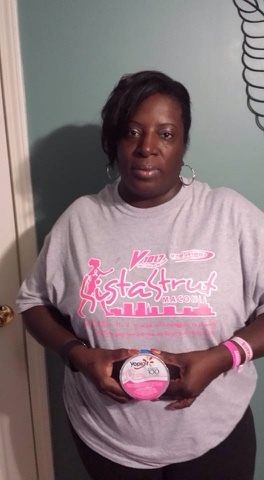 Sista Strut Macon will take place on October 10th at 10am at the Ocmulgee Indian Mounds. • African American Women In The Us Have A 41% Higher Death Rate From Breast Cancer Than White Women. • African American Women Are More Likely Than White Women To Be Diagnosed With Breast Cancer Before Age 40 And Are More Likely To Be Diagnosed With Larger Tumors Than White Women. • Awareness Of These Issues Will Help Survival Rates With Earlier Diagnoses.